To soften concrete jungles, municipalities often plant lots of trees and plants. 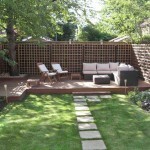 Similarly, in urban homes especially, a nature-rich landscape is one way to take the edge off hard bricks and mortar. 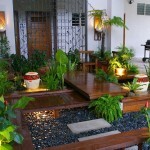 Contrary to what some people think, landscaping is more than simply placing a few potted plants around your home. There may be hardscapes of concrete flooring, stone pathways and wood decks but a balanced landscape can’t do without plants. 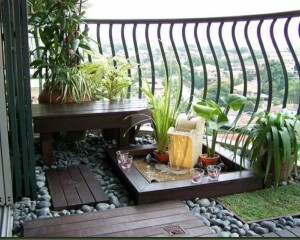 Landscape design includes adding and removing plants, changing the contour of the land, installing various ornaments, adding a deck or patio, installing a firepit, and more. 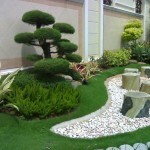 Landscaping comes with many benefits, many of which may not have occurred to you. According to U.S. Department of Energy, using a tree to shade your air-conditioner can increase its efficiency by as much as 10 per cent. A scenic landscape is where a balance of green goals and good looks is achieved. Quality landscaping would not just boost the aesthetic appeal of your property; it can also provide a significant return on investment. 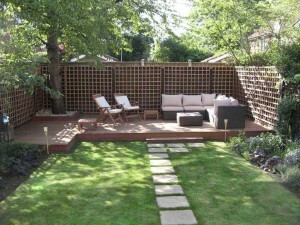 A high-quality, low-maintenance landscaping job can increase the value of a home anywhere from 5 per cent to 20 per cent. Although it’s often overlooked, landscaping can prove to be one of the most important investments you put into your home’s appearance and function. 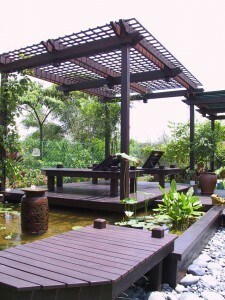 According to several landscape designers, the most popular landscape garden design themes in Malaysia are English, Japanese Zen, formal, French and country. 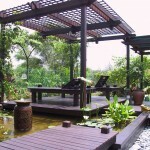 Choosing a garden style isn’t always difficult as there is a style out there for every taste, but determining its purpose is pivotal in making the choice. 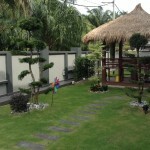 English themed gardens offer a balanced whimsical and tranquil look for the garden. It features wide, curvy borders with complementing colours such as blue and orange; purple and yellow; and red and green. 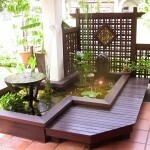 It also features structures such as iron gates, trellises, benches and small statues. 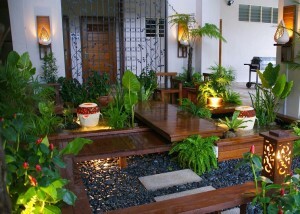 Japanese Zen gardens are a favourite in all parts of the world, usually for its unrivalled tranquillity. Designers opine that a Japanese garden is meant to tell a different story to each individual visitor; no two visitors will go on the same spiritual journey through a Japanese garden. 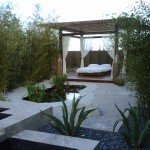 No matter how much space you have, an appealing landscape is always possible. Elements of a Japanese Garden include at least a water feature – a small winding stream, cascades, ponds or, in the case of dry gardens, white sand which symbolises water. Traditional Japanese gardens employ geomancy: the art of placing things where they are most likely to attract good fortune. Rocks and sands are also essential in this theme as it symbolises earth and mountains; and water or clouds, respectively. French and formal gardens feature strict, bold lines. Its charm is evident from a top-down perspective. Characteristics of this theme include lines of all vegetation; topiary along the main axes of the garden, often alternated with statuary, vases and urns; and hedge walls. Country gardens are similar to cottage gardens, although they are more free-flowing and whimsical. Country gardens feature wildflowers and native plants in large clumps with free-flowing plants and shrubs left to grow naturally. Country trappings include watering cans, rustic benches and such. Quality landscaping doesn’t just boost aesthetic appeal, it can raise the value of your property by as much as 20 per cent. If picking out the right curtain for your abode has led you to an argument with your partner, be prepared for a heatier dispute when it comes to your landscape. To promote a more harmonious relationship though, here is a guideline on the vital steps to consider before you make that decision. Your budget is going to be a major key in your deciding factor. 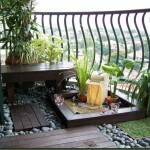 Landscapes can range from a few hundred ringgit to tens of thousands. If you want that magazine-perfect patio or deck, an outdoor kitchen or a pergola, be prepared to dig deeper into your pockets. 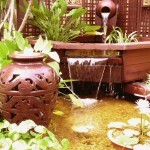 Before you insist on the lighted fountain like the one in Mrs Jone’s garden next door, ask yourself what function you want your landscape to serve. Naturally, the design of a play area would differ from an edible garden, a butterfly garden, outdoor lounge, entertaining area, dining reception, private sanctuary or wildlife habitat. The function determines the set-up. You don’t want thorny aloe vera plants to dot your children’s play area, nor the toxic anthurium to poison your beloved wildlife pets. Complementing your cat’s roaming area with rose plants is not a good idea either, unless your cat is trained to respect the roses’ territory. Plants can be finicky. Unlike dogs, not every plant you love will thrive under the conditions of your yard. Perform a soil test to find out the pH is acidic, neutral or alkaline before you decide on whether celery will prosper or wither in your garden. Another point to consider is the amount of sunlight your yard gets, which is a prerequisite for certain plants. Plants are typically defined as full sun, full shade, part shade or part sun. Sun-loving plants will wilt in the shade while shade-loving plants won’t multiply in the sun. Before you bring home that pretty camellia, determine how much time and effort you can afford to spend on it. Unless you favour a landscape of untamed weeds and slithering reptiles, almost no other living thing can survive with absolutely no care. Just like life partners, some plants won’t require much from you under the right conditions, but others require ample tender loving care. In short, do you have the means to support a high-, medium- or low-maintenance landscape? If you are more people-skilled than plant-skilled, it can easily be compensated by seeking professional help. Work with a reputable nursery with knowledgeable staff who can help you make decisions based on your criteria. They will be able to offer thought-out solutions to problems you’re encountering while offering alternatives for that camellia which refuses to bloom.